This is something I’ve been thinking about lately. It’s not really a story, but it’s certainly fictional. I call it the gold paradox. First, let us assume time travel that lets you travel into the past without creating a new timeline. If you were to travel into the past intending to stay for any length of time, you would need something that could be used as currency. There are three options. First, you could bring back modern money, which wouldn’t work because no one would accept it. Second, you could bring back archeological coinage from the region and era that you’re traveling to, but outside Roman coinage this creates a supply and demand problem in the modern day. Third, you could bring back a commodity that has been traded as a secondary currency in several ancient societies and civilizations. So you go for option number three, and you take back gold. Gold would be the most universal currency for the backwards time traveler. So long as a non-zero number of ancient/pre-modern civilizations are willing to accept it as currency, there will be a non-zero number of backwards time travelers that take it back as a currency. So let’s track an individual ounce of gold. There’s roughly a 10% chance that an ounce of gold mined in the year 2012 is brought out of the earth in the United States, so that’s where this particular ounce comes from. A time traveler buys that ounce of gold, and heads back in time where he trades it for goods and services in ancient Persia around 425 BCE, leaving the gold behind. The problem arises because that ounce of gold now exist in two places in the year 425 BCE, once in Persia, and once in the ground in the North America where it won’t be mined for another roughly 2500 years. So that gold that you left with the Persians is crafted, melted, and remelted over the course of twenty-five centuries until it eventually becomes part of a Krugerrand in 2012. This bullion is then bought by another backwards time traveler on his way to celebrate the millennium in the Holy Roman Empire (which wasn’t holy, Roman, or an empire). Now in the year 1000 there are three copies of that ounce of gold, one in the ground in North America, one that was in Persia, and one now in modern Germany. This creates a problem, and a paradox. 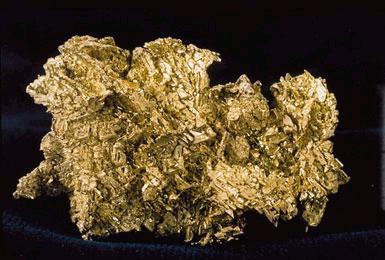 As the number of instances of the same ounce of gold increase in the year 2012, the value of gold drops. Of course, this makes it all the more attractive as a currency for backwards travelers, until the runaway inflation created by these time travelers serves to crash all past commodity markets as well. So the first paradox comes from all commodity markets being destroyed (once gold crashes, we’d move onto silver, copper, diamonds, etc.). This would also serve to turn most gold into a bootstrap paradox. Gold mining stops in the past for two reasons: 1) there’s less value to the metal and 2) there’s an easier supply of gold coming from those funnily dressed strangers. There’s also the problem that every time this ounce of gold is taken back and left behind, it increases the overall mass of the earth by one ounce. It’s a little bit of mass at a time, but it adds up under repeated trips. I talked about this paradox with my wife, and she made an observation. The gold stacks up until the day that time travel is invented, and then it begins to disappear as it is taken into the past to get caught in these loops. It would recreate the gold market, and put the earth on a diet as all the extra mass is lost. Assuming our gravity wasn’t so affected that the moon crashed into the earth or we went careening out of our orbit. Potential solution to the hyper-inflationary problems: going back with consumable goods. Especially modern produce. Strawberries, pomegranates, modern bananas, kiwifruit. You’d still have the issues that the matter within those fruits existed in some form in the past, so there’s still the problem of increasing the mass of the earth, but at least the commodity markets would be largely unaffected both in the past and the present. I’m certain there’s a story in here, somewhere. For now, I present it only as mental meanderings. The important part is right around the 3:20 mark in the video, but while they talk about the understandably disturbing element of having a white time traveler help invent one of the most important influences African-American culture had on American pop culture in the 1950s they overlook the slightly more disturbing paradox that the whole thing creates. It goes like this. Marty McFly lives in the 1980s. He grew up watching performances of Johnny B. Goode by Chuck Berry and learns not only the song but the entire dance routine. Then, through a series of movie contrivances, he finds himself back in the 1950s and playing guitar with a jam band at a school dance. Wanting to play something hip, he plays Johnny B. Goode. Halfway through the song we get the classic “Chuck! It’s your cousin Marvin! Marvin Berry…” phone call, creating the implication that Chuck Berry learns the song Johnny B. Goode from listening to Marty McFly sing it at this sock hop. He records the song, it becomes a hit, and Marty McFly grows up hearing it and learns the song, starting the cycle all over again. Except, and here’s the problem: who wrote the song? Marty learns it from Chuck Berry. Chuck Berry learns it from Marty. Somewhere in there the song wrote itself and insisted itself upon the world through this loop. See? The 1950s were right. Rock and roll music is of the devil!